We’ve known for a while that the foldable Surface Andromeda device (and not the Surface Phone) is the next big thing to happen to Microsoft’s Windows 10 on Mobile project. 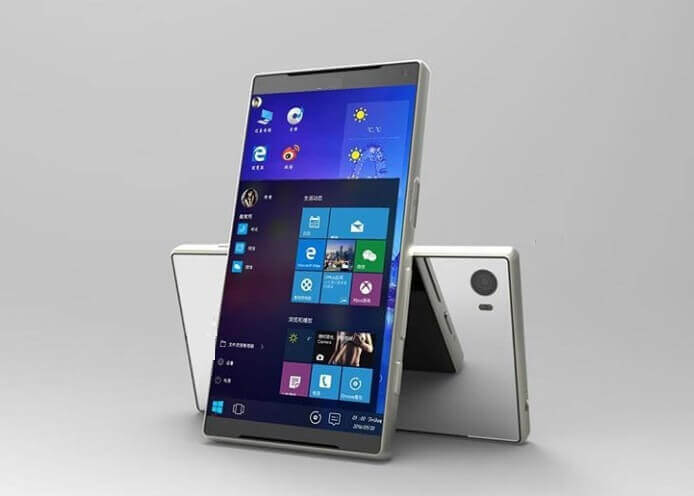 While Microsoft has given up on its Windows Phone platform and even canceled the so-called Surface Phone project, the company is now exploring foldable devices category and several rumors have already confirmed that the device is internally codenamed as ‘Andromeda’. Though no confirmation from Microsoft was ever provided for this project, the company recently patented design for a similar project that indicates company’s plan for foldable devices. Microsoft’s new job posting now hints at the possible launch of a Surface device (Andromeda?) with Snapdragon 845 processor. It’s worth noting that Microsoft’s foldable Andromeda mobile device will be powered by the latest Qualcomm’s latest Snapdragon available at the time of launch (2018), according to the reports. Microsoft is looking for someone that “has done LTE Manufacturing test on QUALCOMM (8998, and SDM 845) and/or Intel Chipsets. Q-DAT or QDAP background.” In short, Microsoft is looking for someone who could join the team to work on a device with the latest Snapdragon 845 processor. Qualcomm has not yet officially unveiled the Snapdragon 845 chipset, but the company might announce it next week at the Qualcomm Snapdragon summit where the company is also expected to detail its plan for Windows 10 on ARM project. The Snapdragon 845 job posting doesn’t mean that Microsoft will launch the Surface Andromeda with this chipset, as the company may be planning to announce a Surface laptop with the ARM processor. The Redmond-based Microsoft might be working on a new product that could launch as soon as 2018. As noted above, Microsoft is internally testing a new mobile device that would use two foldable screens allowing for a dual-factor approach. Microsoft might be working on bringing back Surface-ARM Windows devices, but this time with Qualcomm’s Snapdragon 845 processor and Windows 10. There are no apps for it anyway, so it will be dead on arrival. Yup and now everyone else is coming out with folding phones after microsoft…..
You wanted to say before, cause I’m pretty sure they will actually release something sooner than MSFT. That is why MS might be releasing this format as it will run full Windows and won’t be dependant on apps. If this pans out it might actually be the end of apps and we would be back to browser based software to replace them.